Most greetings are mundane and meaningless. “How are you” is the standard icebreaker in the U.S. That inquiry is normally answered by an equally empty: “fine.” The greeter normally doesn’t really care how you are doing and the responder normally isn’t all that “fine.” But this perfunctory greeting moves us to further conversation. So we continue to do it. Greetings in Africa are totally different. 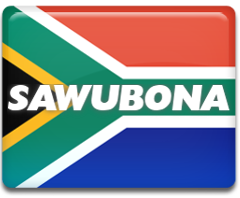 The normal Zulu greeting is “sawubona.” It literally means “I see you.” It is a kind and gracious way to acknowledge the worth of an individual. It acknowledges the presence and importance of the other person. It means my life stops to focus on yours. African greetings can be long. It is not unusual to engage in an extended line of questions about the condition of your home, children, wife, goats, farm, garden and work. Greetings can go on for several minutes. As a Westerner, it seems like a waste of time to spend five minutes saying hello. But in a relational culture, there is serious interest in the other person as an individual. Relationships are important in an African culture. So greetings take a while. It just isn’t polite to launch into a conversation without an appropriate greeting. I just returned from South Africa where they still have gas station attendants who pump gas. The American tendency is to roll down the window and say “fill it up.” But in that culture, that would be rude. Good people skills in South Africa include “sawubona” and a few other pleasantries before requesting a full tank. Sawubona is indicative of a gracious people skill. Western culture tends to value productivity and time schedules. Villagers in Gadaka where I grew up on the edge of the Sahara desert were more concerned about relationships. No one owned a watch. There were no time sheets or clocks to punch. Projects could be done tomorrow. As a result, people skills were taught very early in life. Children honored their elders and spoke with respect using appropriate titles. There were specific ways to address all age groups, positions and stature in society. But even in this village, not everyone had the same level of people skills. It was obvious. Some were coarse. Others were smooth. Some knew how to relate to others exceptionally well. Others remained aloof and recluse. Even in a primitive culture there were those who knew how to connect with others and those who didn’t. Those with people skills became natural leaders. Interpersonal skills are simply the ability to interact with other people well. It is the aptitude to immediately bring a comfort level to a relationship. It is the skill of putting a damper on the tension in the room. It is the capacity to be liked by the majority of people. It is the ability to relieve pressure in a situation. It is the ability to make friends. Here is some of what the Bible says about the topic of people skills. In a Western culture where we value education there is a tendency to elevate IQ and knowledge over people skills. Western education applauds the amount of knowledge acquired. Graduation is based on the fact that you passed enough exams. The degree is granted because you read enough books and regurgitated the information. The reality is that you can finish higher education with a 4.0 grade point average and fail in your career. Knowledge is indispensable but it is not the goal. Ultimately, unless a person can relate to others, it is not possible to succeed in leadership. There are some jobs available to people with poor people skills but they are not leadership roles. Leadership has to do with people so there must be the ability to connect with others in a wholesome fashion. This is not complicated. Would you rather receive help from an obnoxious person or a gracious person? Would you rather spend time with an encourager or a discourager? Would you rather be around a pessimist or an optimist? Would you like to have dinner with a sarcastic, caustic critical person or a gracious thoughtful individual? I live in the world of theology and ministry. There are brilliant theologians who lack people skills. They are just as happy to be in a cave lined with books and never interact with people. They understand the academic side of theology and write research papers. They can answer any question and debate any issue. They write books. We need these people. They are critical to the strength of the Church. But they cannot lead others because of their hermit-like tendencies. Here is a little test. Grade yourself on a scale of 1-5 (1 = weak and 5 = strong). I am genuinely interested in “them” more than “me”…hearing their story instead of telling mine. How did you do? If you are on the low end of the scale, this is great opportunity to improve. If your score is high, there is still room for improvement. None of us are always at the top of our game. The question that needs to be answered then is: how do you learn people skills? There are some who seem to be born with a natural ability to relate to people. Their personality is such that they effortlessly walk into a crowd and take over. But what about the rest of us who were not born with that gene? A college level course cannot in itself teach people skills. A classroom can identify some facts about people skills, but there is a big chasm between knowing and doing. A skill is the ability to do something…not that you know something. So this is not primarily an academic issue. A really good approach for learning a skill is to have a coach. I am a self-taught golfer and my score regularly demonstrates that. It would have been to my advantage many years ago to have golf lessons. A coach would have immediately corrected some bad habits and established some good patterns to my golf swing. The same is true of people skills. Someone else can identify what is wrong in your social skills “swing.” Assume that you do not see yourself as you really are. The Bible says that the heart is deceitful (Jeremiah 17:9). Don’t trust yourself. Our default position should be self-doubt. Most of us are oblivious to the idiosyncrasies of our personality. If you push back on that previous statement, you are proving the statement true. Really. We do not truly understand how others perceive us. None of us can with 100% certainty evaluate all our strengths and weaknesses. That is why we need a people skills coach. We need someone who can watch our “swing” and evaluate it with objectivity. This needs to be a person who will be straightforward in his criticisms. Someone from whom you will receive those criticisms without being defensive. I challenge you to ask a trusted friend to tell you what they think about your people skills. You might be surprised. Be assured, they “see you” as you really are. Paul Seger is General Director of Biblical Ministries Worldwide of Atlanta. He is also a member of IFCA International Board of Directors and IFCA International Ministries Committee. He blogs at paulseger.com.